LeBron James has officially signed for LA Lakers in a four-year deal worth $154m, the club announced on its website on Monday. 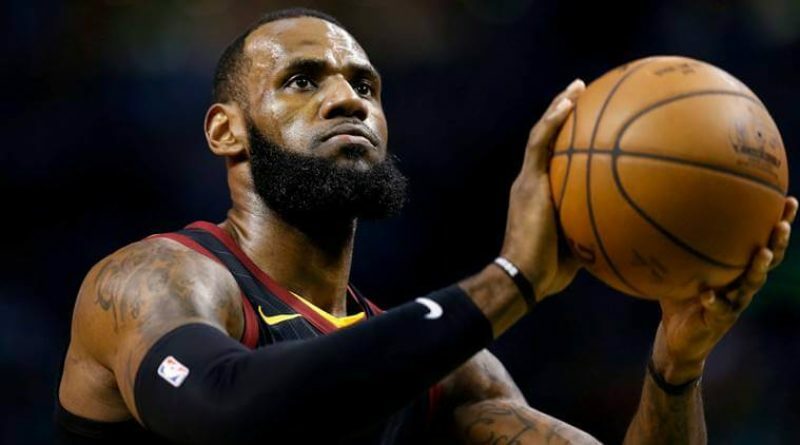 The three-time NBA Champion who played in all 82 games last season, was a free agent after leaving the Cleveland Cavaliers and now joins a team that last made the playoffs in 2013. “Today is a great day for the Lakers organization and Lakers fans all over the world to welcome LeBron James, a three-time NBA Champion and four-time NBA MVP,” said Lakers President of Basketball Operations Earvin “Magic” Johnson. “LeBron is special. He is the best player in the world. He loves to compete and is an awesome leader who is about winning and making sure that his teammates are successful. The Lakers players are excited to have a teammate who has been to nine NBA Finals. It’s a huge step closer to returning the Lakers to the playoffs and to the NBA Finals,” added Johnson. The 33-year-old American has one of the most storied careers in NBA history, he currently ranks seventh in total points scored (31,038), 11th in all-time assists (8,208) and 16th in career steals (1,865).